Square Hospital Emergency Room (ER) provides non-stop life-saving care when required, 24 hours a day, seven days a week. ER has got all the life saving support for critically ill patients including ventilators and defibrillators. All doctors and nurses are specially trained to deal with all types of emergency patients. 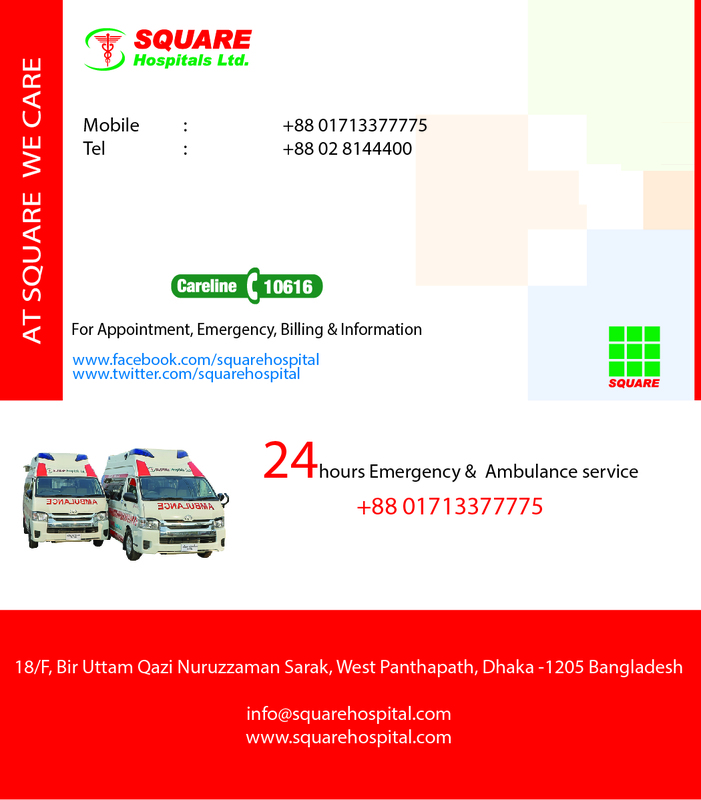 Square Hospital ER has fully equipped top of the line Mercedes Benz ambulance services with specially trained staffs. We also have our own Square Air Ambulance service, with brand new Bell 407 helicopter loaded with all life-saving equipments, to transport patients from any corner of the country. Patients get a fully integrated emergency care at Square Hospital Emergency Room. Copyright © 2019 Square Hospitals Ltd. Developed by aamra Infotainment Ltd.